He had a family but was separated whenever he had to work because he traveled the continent to Paris, England, Brunswick, Hesse, Venice, Florence, and Denmark for 8 years. Nothing is really known of his early training but he did play for a musician named Sir Henry Cobham and also played for the English ambassador in Paris. He received a bachelor of arts degree at Christ Church, Oxford in 1588. He spent his life composing and performing for famous people around Europe. He composed and played music. He was a lutenist. He also wrote down his works so that people could also perform them. He was patroned by the people he played music for like the English ambassador and Sir Henry Cobham. 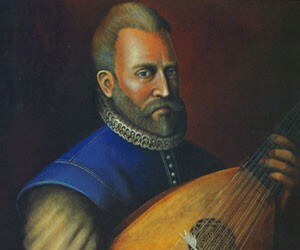 John Dowland is a man that fits great in the Renaissance time because humanism and individualism are seen in him. Humanism because he could write and perform music, he was dubbed one of the best lutenists of his time. He has individualism because he was able to build himself up by performing under rich people and then he was able to write many songs that are great. This is the First Book of Songs or Ayres. This was first published in 1597 and then later republished in 1600, 1603, 1606, and 1613 because it was so loved. This is located today in Trinity college in Dublin, where he was born. This is significant because of its innovative typographical design. This book of his songs is similar to what we call an album today, but this book has the lyrics and notes written on the pages. This piece of art shows the ideal of humanism because it is based off of the concept of art which was a big part of the Renaissance and it also shows individualism because he made a book that is revolutionary and was made by himself. 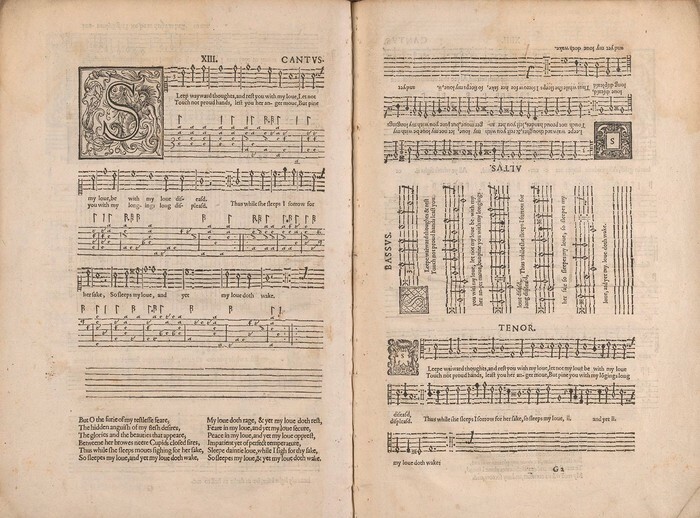 I find this book interesting because it is written so that the lutenist can play and also so that a four person vocalist group can all perform the song at once when they are sitting around a table. "John Dowland." Encyclopedia of World Biography. Detroit: Gale, 1998. Biography in Context. Web. 18 Nov. 2013. "In Tune." ; a Millennium of Music in Trinity College Library. N.p., n.d. Web. 18 Nov. 2013. "John Dowland." Biography. N.p., n.d. Web. 18 Nov. 2013.